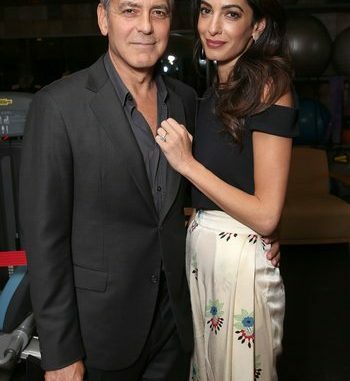 Most things have changed in George Clooney’s life since he and wife Amal welcomed twins in July. But as he prepares to unveil his latest directorial effort, “Suburbicon,” some rituals remain eerily familiar. It’s a new chapter for Clooney, but one with some old moves. “Suburbicon,” which Paramount Pictures will release Oct. 27, marries two twin passions of his: farce (“Burn After Reading,” ”O Brother Where Art Thou”) and socially conscious filmmaking (“Good Night and Good Luck,” ”Ides of March”). 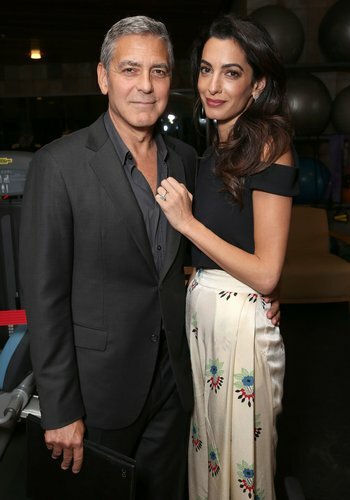 PHOTOS: George Clooney & Amal Clooney: Couple Shots! “I last week screened it for my good friend Norman Lear. When it was over, he looked over and said, ‘This is the angriest film I’ve ever seen,'” said Clooney in a recent interview with The Associated Press. “It’s a pretty angry film. There’s a lot of anger out there. I think that’s reflected in the film. “Suburbicon” is Clooney’s sixth film as director and his first since 2014’s “The Monuments Men.” Filmmaking remains his focus, at least professionally speaking.